2009 to present--COMMUNITY--At some point, someone who met the Doctor in the TVCU must have decided to create a show based on him, called Inspector Spacetime. Likely the sidekick Reggie is based upon a companion of the Doctor, perhaps the one who created the show. It should also be noted that in the faux spaceship created by Abed for playing Inspector Spacetime, there is a flux capacitor. Now that means that there is one in the faux show Inspector Spacetime on his ship, which is based on the real exploits of the Doctor, thus making that a three way cross between DOCTOR WHO, COMMUNITY, and BACK TO THE FUTURE. The Inspector Spacetime clip from the community season 3 premiere, go watch this show! Fall 2009 to Spring 2010--COMMUNITY SEASON 1--During this year, the group takes Spanish, and their textbook is Dos Mundos. Not a real crossover, since this is a real textbook, but I should point out that it also appears on Modern Family, and was the text I used for my first two semesters of Spanish at Greenfield Community College. 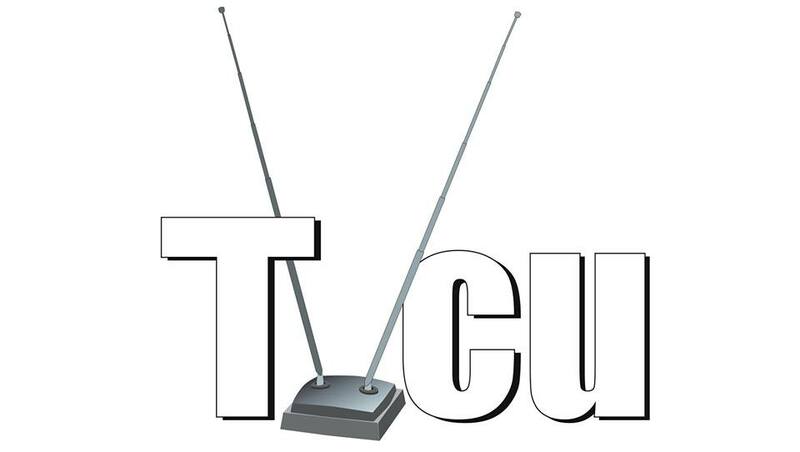 Yes, I just crossed myself into the TVCU, damnit!!! I'm sure everyone will say it doesn't count, but I'm actually already in via a crossover with Ghost Hunters, so this crossover just confirms my rightful place. 2009 to Present--WEBISODES--In addition to the regular episodes, NBC produced a series of webisodes. Some are focused on the daily life of Dean Pelton and others include a Spanish project, study breaks, and Abed copying his friends' lives and turning them into student films. These webisodes are featured on the front page of the Greendale Community College website on the AV Department page. On March 2, 2012, it was announced that three animated webisodes will air exclusively on Hulu in lead up to the return of the series on March 15, 2012. Titled Abed's Master Key, the shorts were written by Dave Seger and Tom Kauffman of Channel 101 and animated by Animax Entertainment. In the webisodes, Abed becomes Dean Pelton's assistant and is given a master key to Greendale. Fall 2010--COMMUNITY--See this link for Toby's comments. October 2010 (Episode dated 10/28/2010)--COMMUNITY SEASON 2 EP 6--"Epidemiology"--When a zombie outbreak occurs at the GCC Halloween dance, the Men in Black show up to erase everyone's memories. 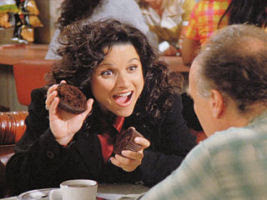 January 2011 (Episode Dated 01/20/2011)--COMMUNITY SEASON 2 EP 12--"Asian Population Studies"--Rich, a doctor who attends community college just to further his knowledge is making muffin tops, a trend originated in New York by Elaine Benis (of SEINFELD). May 2011--COUGAR TOWN--"Something Good Coming"--Abed is seen having lunch in the background of an outdoor restaurant. In COMMUNITY episode "Critical Film Studies", Abed tells how he visited the set of the show COUGAR TOWN, though later he admits is was made up. So this is not him being an extra on that show. Of course, there is still the fact that Cougar Town is a show on TV with Courtney Cox, yet the events of the show are also real. Likely Courtney Cox does star in a show called Cougar Town that is much different and not related at all to the show we watch (or don't watch, apparently) on our TV. Spring 2011--COMMUNITY--The mysterious briefcase and its contents last seen in PULP FICTION makes an appearance. May 2011--COMMUNITY--"For a Few Paintballs More"--Laurie Keller and Travis Cobb (of COUGAR TOWN), who previously had been having lunch at the table next to Abed, are now at Greendale during the infamous Paintball War of 2011. October 2011 (episode dated 10/13/2011)--COMMUNITY SEASON 3 EP 4--"Remedial Chaos Theory"--At Troy and Abed's housewarming party, Jeff throws a die to decide who goes down to get the pizza, and we see six separate alternate realities based on which number lands. At the end, we see a seventh reality that comes from not throwing the die at all, which turns out to be the Mirror Universe. 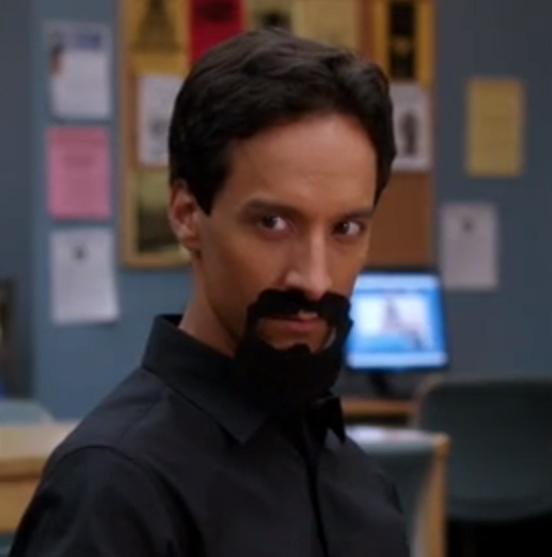 Once Abed realized he's in the Mirror Universe, he decides he must destroy all other realities. He converts Troy and creates paper goatees until they can grow out real ones. November 2011 (episode dated 2011)--COMMUNITY SEASON 3 EP 9--"Foosball and Nocturnal Vigilantism"--So the year that Tim Drake/Batman left Gotham, was the year Abed Nadir began operating as Batman in Greendale, CO.
December 2011 (episode dated 12/8/11)--COMMUNITY SEASON 3 EP 10--Is Mr. Sweet also perhaps the glee club teacher in Community? Or is there more than one musical demon, accounting for groups that are affected over a longer term period, like in Glee and High School Musical? And apparently Regionals was invented by this demonic force. The Greendale Glee Club teacher was responsible for the deaths of two different sets of Glee Clubs and had the power to turn the normal world into a musical. really any musical already in the TVCU becomes a Buffy crossover (unless it's explained within the story, like with Scrubs). March 2012 (episode dated 03/22/2012)--COMMUNITY SEASON 3 EP 12--Abed is visited by his Mirror Universe counterpart, who is attempting to convert his alternate universe counterparts to aid him in his plans to conquer all of reality. Of course, James will be presenting a blog about the truth of the CRISIS ON INFINITE EARTHS soon, and we know that the true evil behind the Crisis was Yog-Sothoth, but it's apparent that one of the chief agents of the old god was Mirror Abed, who had an army of Abeds. Note the Abed was obsessed with Inspector Spacetime, and likely if Mirror Abed could master dimensional travel, he would have at some point encountered the Doctor, who was the inspiration for Spacetime. Indeed, perhaps it was an army of Abeds who were responsible for obtaining the various time devices stored by the Earth Empire of the Mirror Universe in the STAR TREK/LEGION OF SUPER-HEROES crossover. April 2012 (episode dated 04/26/2012)--COMMUNITY SEASON 3 EP 17--A botanist that assists in analyzing a "murder victim" bears a striking resemblance in both appearance and character to a certain medical examiner as seen in the LAW AND ORDER franchise. Fun stuff, and we get at least one more year in which more links might be found!